Sales Pilot Medical Sales Training and Mace Horoff respect your privacy and protection of all personal information you share with us. Mace Horoff & Associates, Inc., is the official publisher of Sales Pilot products, and is the site administrator of www.medicalsalestraining.com. You are welcome to visit medicalsalestraining.com anonymously. Personal information is not collected. Your IP address (the address of your computer) is logged to help us learn which parts of the web site you visit, and how long you spend on the individual pages. We do not link your IP address to any personally identifiable information. Your browser automatically informs us of its name and version number, so we can display the correct format for you. However, no personal information is gathered. Mace Horoff & Associates, Inc. may collect personal information voluntarily supplied by you when you order products, enter contests, complete surveys, and the like. Mace Horoff & Associates, Inc. clearly informs you in advance, and explains how this personal information is to be used. You have a right not to provide this information. 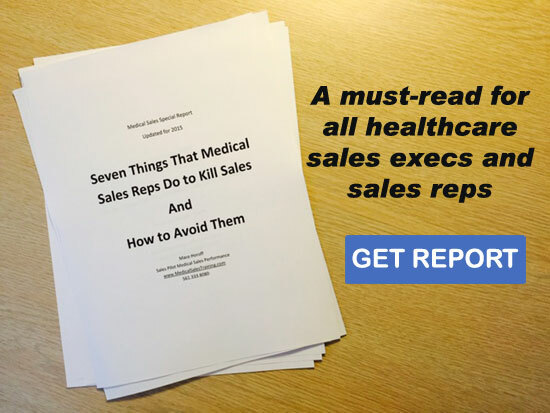 If you choose not to provide such information, you are still welcome to visit medicalsalestraining.com, but may be unable to participate in certain options, offers and services. If you supply Mace Horoff & Associates, Inc. your postal address, you may receive periodic mailings to inform you of new products, services, events, etc. If you prefer not to receive such mailings, please don’t subscribe to our email list or if you have you may unsubscribe at any time.